In April 1994 then Prime Minister Paul Keating visited Laos for the official opening of the Mekong Bridge, the first ever bridge across the Mekong, which crosses the river from the Thai provincial capital Nong Khai to the village of Thanaleng, just south of the Lao capital, Vientiane. 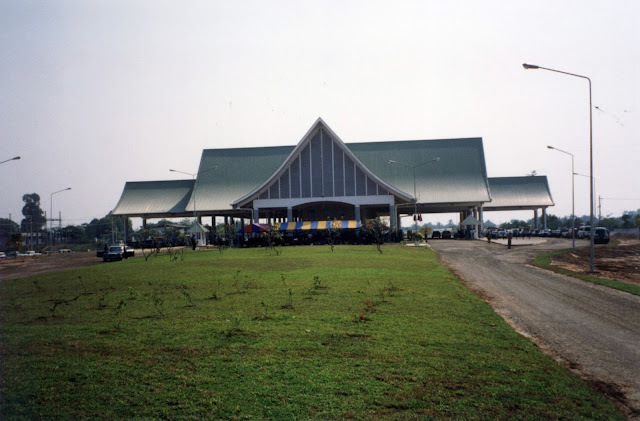 It was constructed as an Australian aid project, and I had the privilege to serve as the Chairman of the Australian-Lao-Thai Steering Committee which negotiated the arrangements and oversighted the construction. 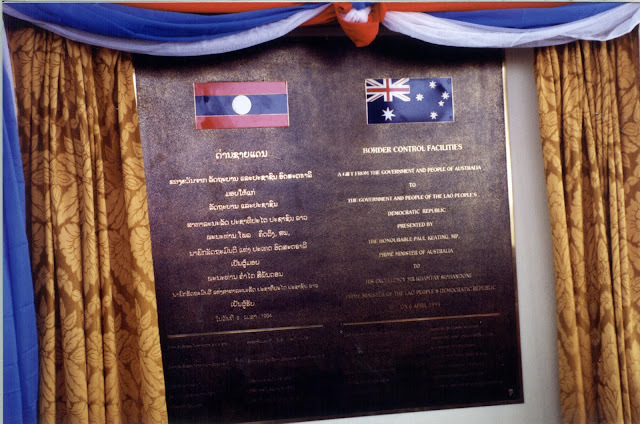 The day before the official opening of the bridge Paul Keating attended the official opening of the border facilities, on the Lao side of the border, which were also constructed as an Australia aid project. 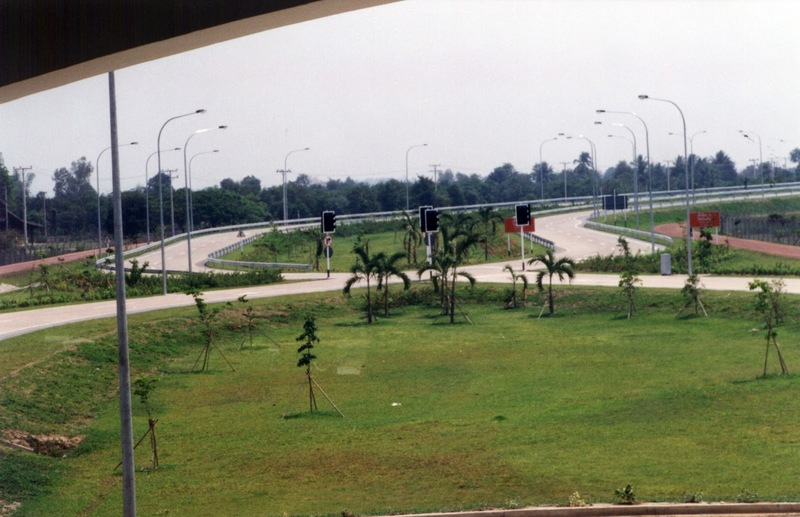 The border facilities of necessity include a traffic interchange; Thailand drives on the left hand side of the road and Laos on the right. 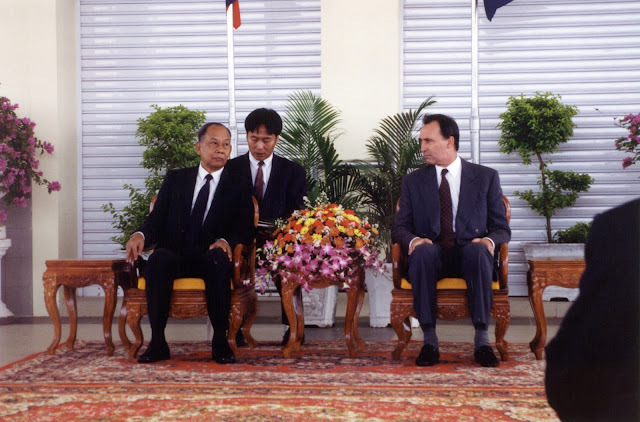 The opening of the border post was also attended by the Prime Minister (Chairman of the Council of Ministers) of the Lao PDR, Mr Khamtai Siphandon, seen here meeting with Keating at the opening. And just for the record, here is the official plaque.